Finished the little fox over the weekend. Spent a good amount of time trying to decide if it’s a boy or a girl but then realized I really like that I can’t decide. I want them all to be that way. 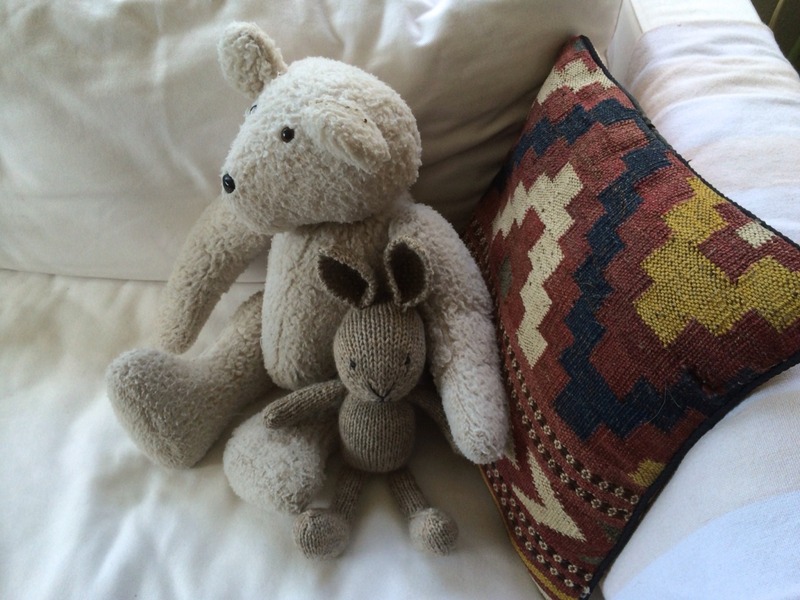 I like that the kid who receives the animals I make will get to decide for themselves. Or change it up based on what their fantasy is that day. I made the fox from the backyard bandits pattrern by Barbara Prime. The raccoon I made is also from that pattern. I’m loving that pattern more and more. This fox is so perfect to hold in my hands and has such a nice weight and flexibility. Knit from alpaca yarn and stuffed with organic cotton, he feels luxe and yet somehow still basic enough to drag around by the arm. I’m in love. 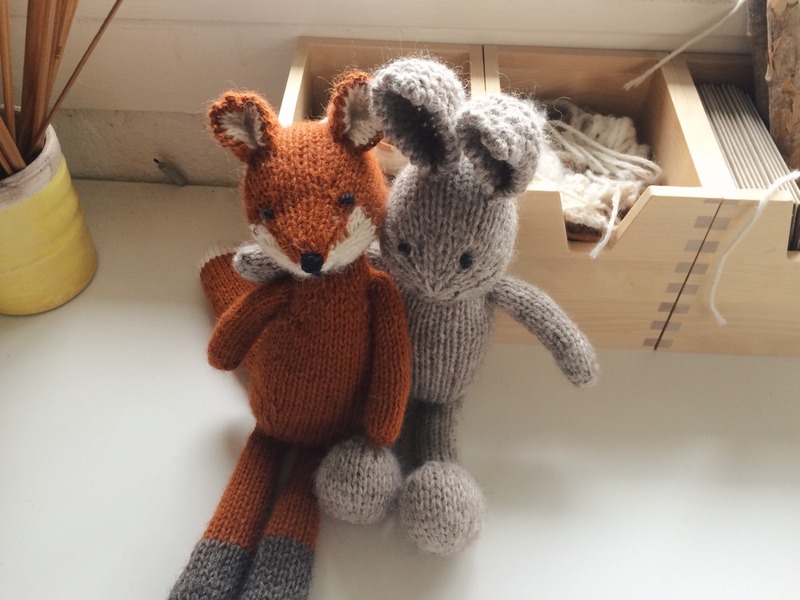 After knitting the bunny for my friend’s baby shower it became obvious to me that I had embarked on a knitted stuffed animal journey. 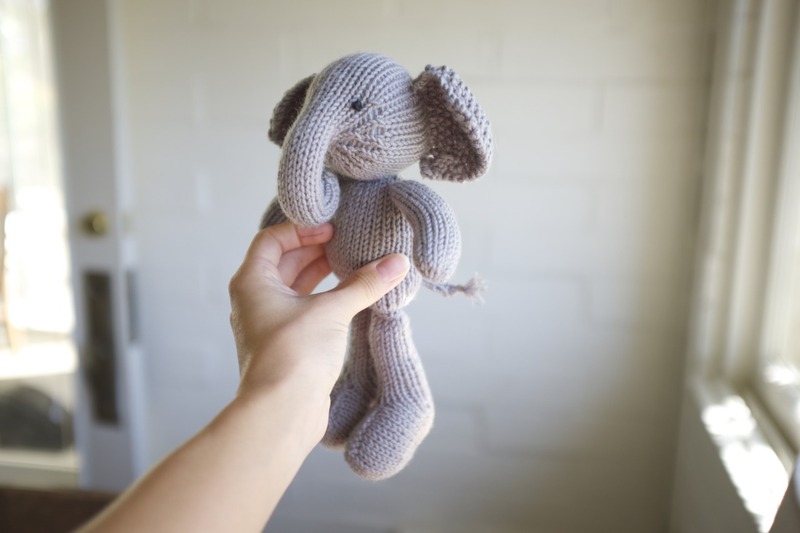 This elephant, also for a pregnant friend, is the second animal I attempted. I learned a lot from doing the process twice since the arms, legs, and body are all the same as the bunny. 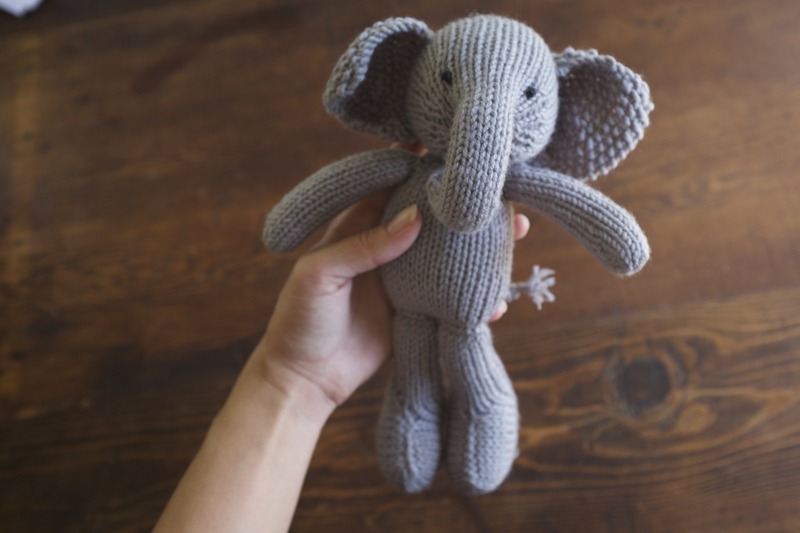 I think I mastered the french knot for the elephant’s eyes, which is more than I can say for my first attempt, since the bunny’s eyes started to unravel the minute he was unwrapped from his gift bag. I love these parts of the learning process. It’s fun to see minor accomplishments. It’s even fun to see the mistakes and quirks of a first try. Maybe one day I will compare these first pieces with some down the road and be really amazed at how much I’ve improved. I look forward to that! 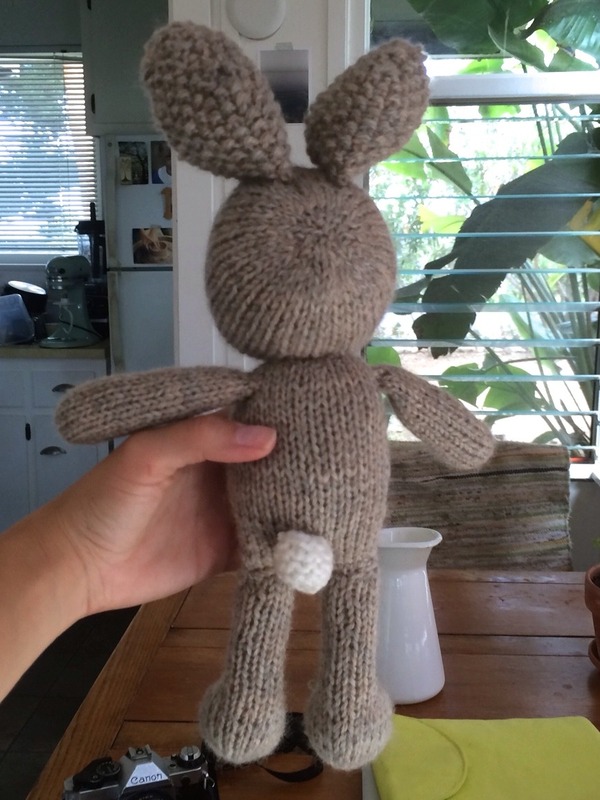 I found this bunny pattern three days before a baby shower. 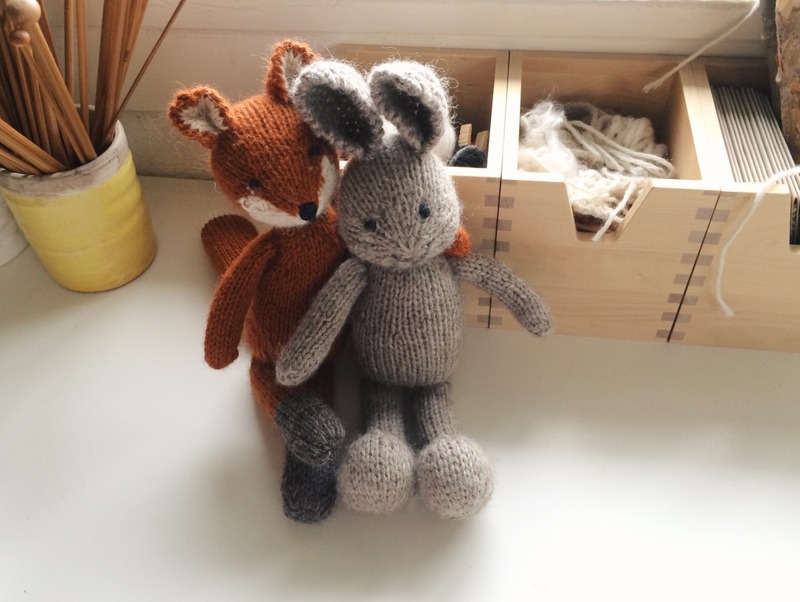 I already had a gift planned but I was so excited by this bunny that I decided to make it despite having no experience with this type of knitting pattern. I am so glad I did! 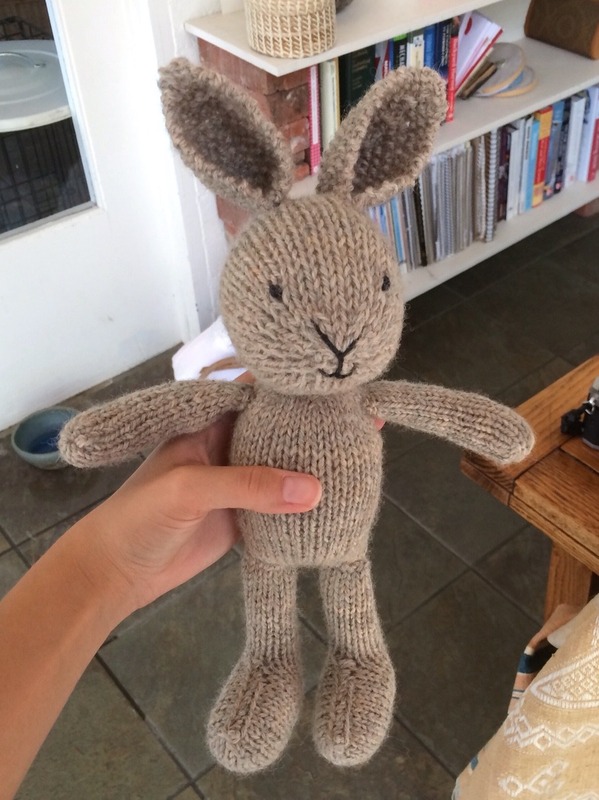 I completely fell in love with knitting after making this little rabbit. I have always enjoyed knitting a few things here and there. Mostly around Christmas time. 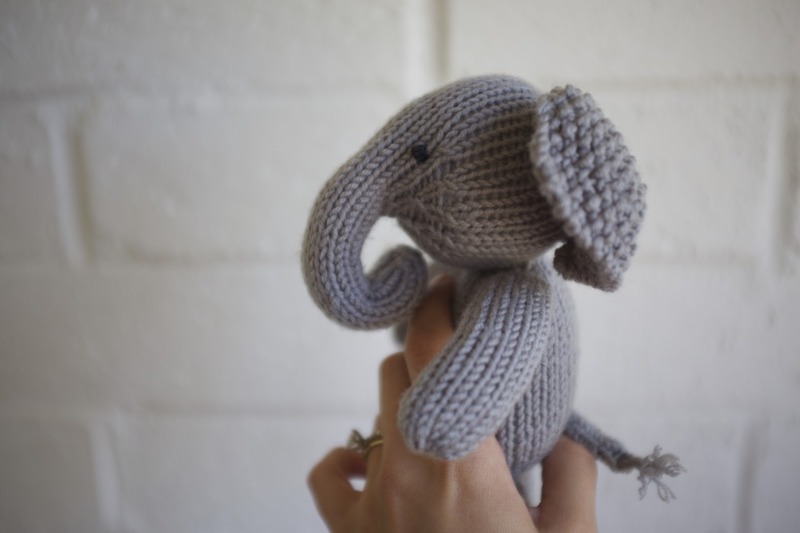 But I just felt like someone who knew how to knit. Now I sort of feel like a knitter. It’s the best.